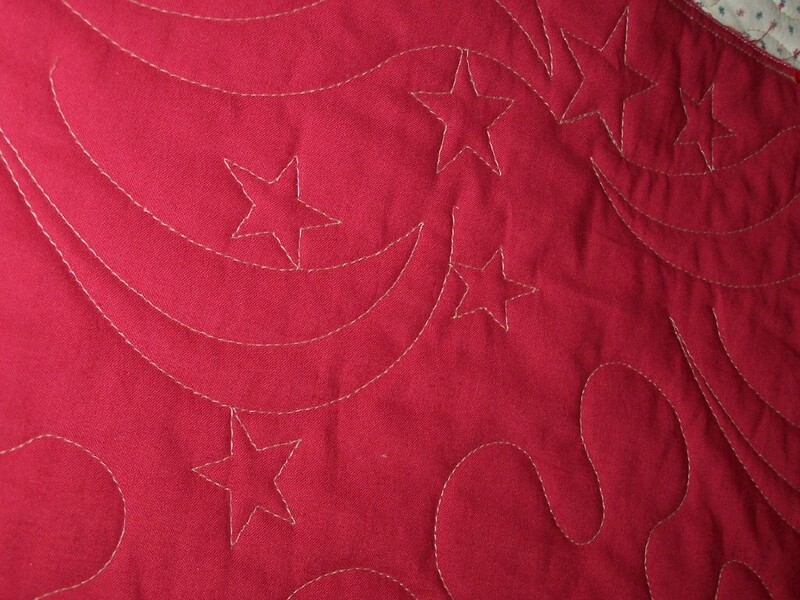 METICULOUS LONGARM QUILTING…just for you! Here’s a beautiful quilt top (in piecing technique and design layout) that I quilted this past week. It will be one of 90 Quilt of Valor quilts presented in December to the Indiana National Guard – 713th Engineer Company based in Valparaiso. 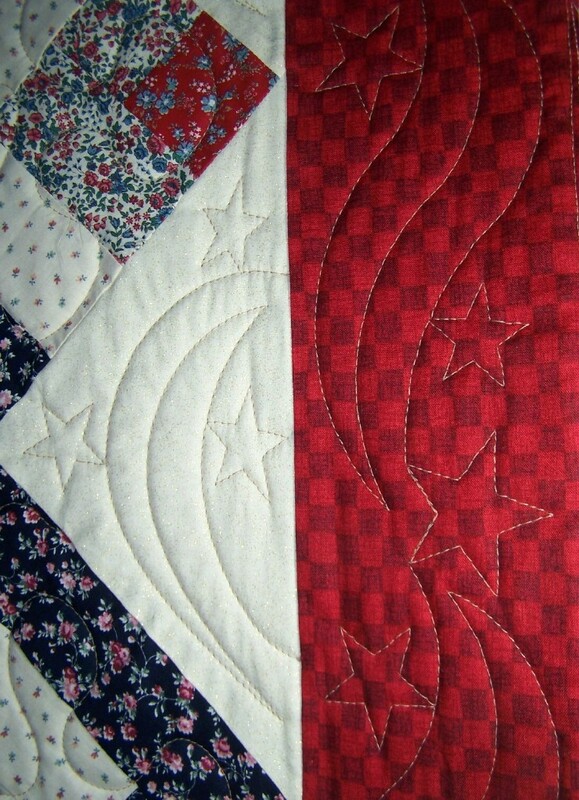 If you would like to make a patriotic red/white/blue top (I will quilt it) to help get us closer to the 90 quilts needed, please use my contact form here or contact the Indiana Regional Coordinator of Quilts of Valor. Check out QOV basic requirement site HERE. Here’s a closer view of an individual triangle shaped pattern in each of the setting triangles. This pattern went along with the border pattern in the next photo. In this photo you can see the border, triangle shaped pattern and even some of the meander on the main blocks. 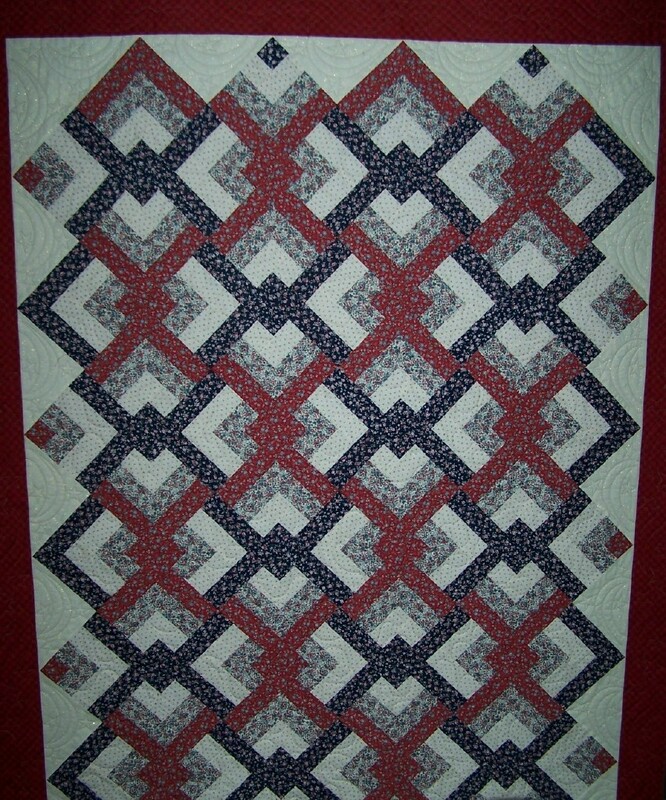 Here’s the back of the quilt that shows the border (on the top right), the triangles (near the center left) and the meander pattern (bottom right) that was placed in the center panel of the quilt top. 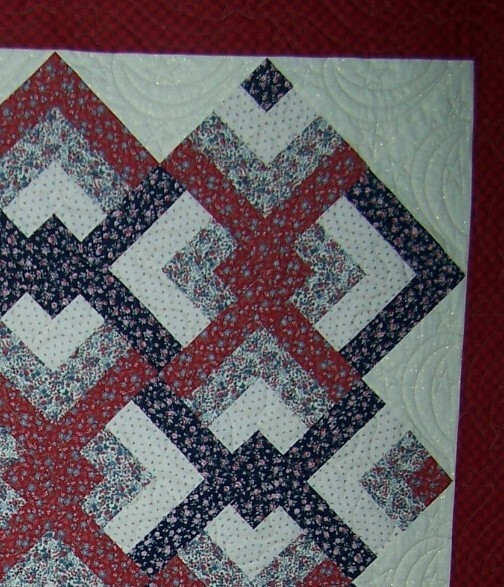 Remember if you need your quilt top FINISHED, use my contact form here and I’ll get it beautifully quilted in no time.